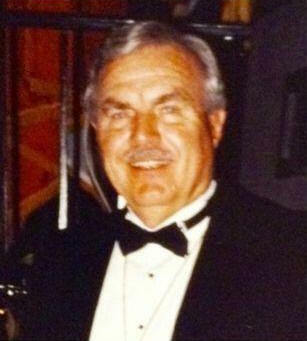 Marion Edward Dawson, PP, went to his Heavenly Home on May 10, 2018. He leaves to cherish his memory his wife, Ethel Gunn Dawson; four children, Robin Dawson White, Cynthia Dawson Emory, Jennifer Dawson Reynolds (Rick) and Timothy Morris (Faye); nine grandchildren, Jennifer White, Dale White, Owen White, Kristin Emory, Ashley Emory, Justin Smith, Dayne Smith, Taylor Morris and Jordan Morris; and several great-grandchildren. He was an Eagle Scout, a graduate of the old John Marshall High School, where he was a Captain of "D" Company in the Cadet Corps, a member of Manchester Lodge No. 14 A.F. & A.M., ACCA Temple Shrine, where he served as Potentate in 1995 and also past President of the South Atlantic Shrine Association in 2004 to 2005, Past Director of ROJ No. 16, a member of Manchester Shrine Club and the Motor Patrol. Marion retired from the DGSC after 43 years of service. He was also a U.S. Navy veteran. Marion loved the "game of softball," where he started out pitching fast pitch and then slow pitch, having a son-in-law and son later joining him on the same team. Most of all, he loved his family and especially the grandchildren. A memorial service with Masonic Rites and military honors will be held 11 a.m. Tuesday, May 22, at the Virginia Veterans Cemetery at Amelia. The family would like to thank James River Hospice for their excellent care. In lieu of flowers, donations may be made in his memory to Shriners Hospitals for Children or to the Melanoma Cancer Fund at melanoma.org. Arrangements are by Bennett Funeral Home.